First Listen: Alexi Paraschos channels classic R&B on "Hashtag"
(December 12, 2017) It was only recently that we first heard of Philly singer and songwriter Alexi Paraschos, but one listen to his expressive tenor voice immediately let us know that he's the real deal. He's been featured on a number of stages in the Eastern US, and he has shown himself to be an artist on the rise. 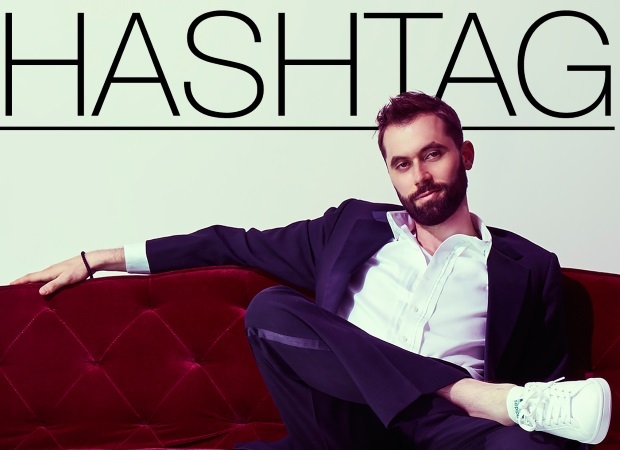 Alexi has most recently released the single and video "Hashtag," and is a cool midtempo number with a 80s soul vibe and his falsetto shining upfront. Alexi tells us about the song: "I wrote 'Hashtag' to use something contemporary like tagging someone on social media to express something timeless: the love and admiration of another person. With the help of producer Tony Moore and some of Philly's top musicians, it's a song with a current sound but a classic, smooth feel." Check out "Hashtag" and welcome Alexi to SoulTracks!